If you like BIG numbers then you'll love this! This page explains the chances of getting freak hands of playing cards in games such as bridge and poker. If you prefer to play Bingo games, make sure to read a couple of reviews here. In bridge you are dealt 13 cards, in poker you usually only work with five cards. There's more about poker hands here. You can also try your chances with mobile casino games or take a look at Best UK Casinos. Another way to think about distribution to consider how many cards are there likely to be in your longest suit. Many games don't use the whole pack of cards at once, so the maths is very different. In poker, each player is dealt five cards. Texas Hold 'Em is one of the most popular poker games. It's not just a matter of hoping to have the best hand, it's also a case of guessing what the other players might have. You might also have to guess if they are bluffing (i.e. betting when they've got nothing) and you can even try to bluff yourself. Two of the players pay a little bit of money into the "pot". This money is usually called THE BLIND because nobody has seen any cards yet. The players take turns to do this, and it makes sure there's always a little bit of something to play for. 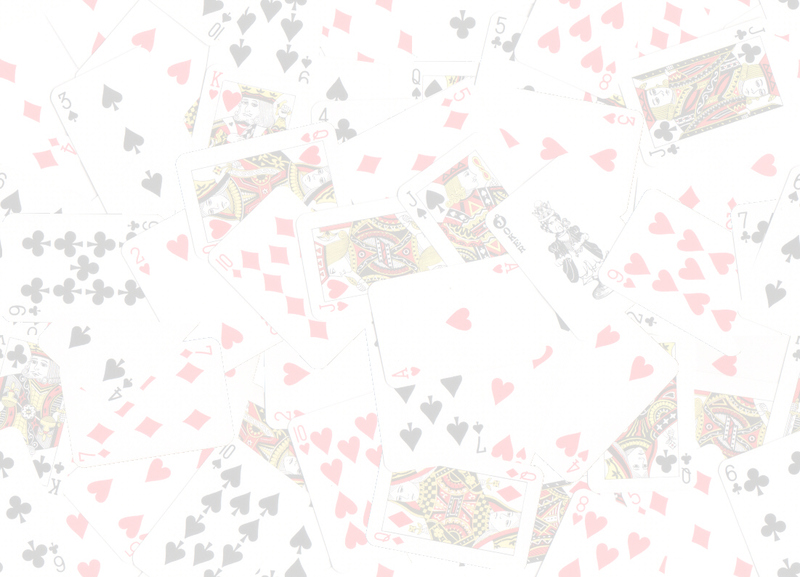 Each player is dealt two cards that no one else sees. Three more cards are dealt face up on the table for everybody to see. These three cards are called THE FLOP. A fourth card is dealt face up, this is sometimes called THE TURN. Even more betting until everyone is either happy or has folded. Finally the fifth card is dealt face up, known as THE RIVER. Anybody who is left playing then bets until just one person is left or they all agree to show their cards. Quite often somebody wants to bet so much money that everybody else folds and he wins. In this case nobody gets to see anybody else's cards and the trouble is, you'll never be absolutely sure if the winner was bluffing or not! We can't give you any help in how to bet apart from to remind you that nobody ever ruined their life by betting with matches or counters, so stick to playing with those and keep your money safe. What is far more interesting to us is how you make your five card hand. This player has got two TENS. There's also a third ten on the table, so the best five card hand the player can make is THREE TENS. This is quite a good hand, and the player might be tempted to bet a lot. Poker games involve seeing what combinations you can get when you are dealt five cards. The maths involved can be pretty murderous, but here are the chances for the combinations people hope to see, stating with the best possible hand - the Royal Flush. If you haven't even got a pair, then whoever has the highest card wins. The WORST hand you can get is 2-3-4-5-7 of mixed suits. Because the chances of a really good hand are quite small, a lot of poker games give you more than five cards, from which you can select which five cards you want to make the best combination. This lowers the odds of each hand, but they are still ranked in the same order as listed above e.g. a flush still beats two pairs. the black aces and the black eights. in a saloon in Deadwood, Black Hills, Dakota while playing poker. Legend has it that these were the cards he was holding when he was shot. Nobody is sure what the fifth card was, or even if it had been dealt. 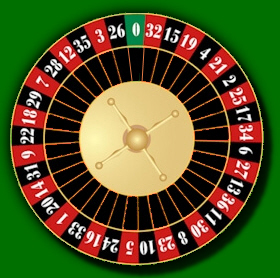 The Roulette Wheel - and How to Worry the Casino!